Are you brave enough to escape the Maze of Doom? I guess we'll have to wait and see. Throughout the summer, I'll send you a problem. 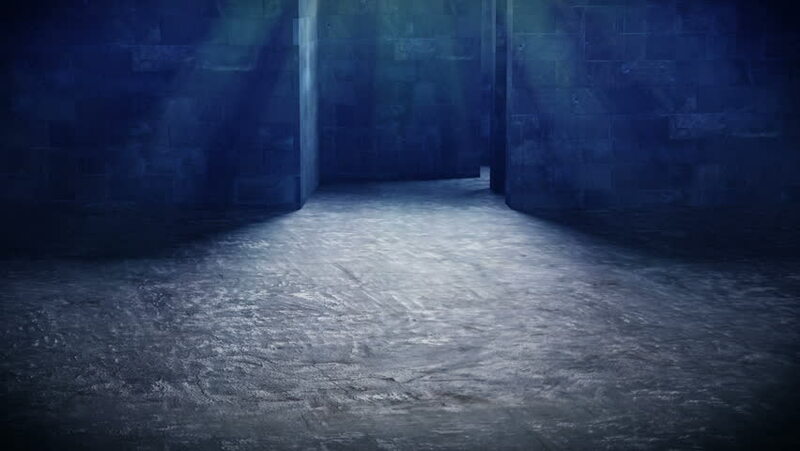 It's up to you to find the solution...and your way out of the maze. Good luck. A Mace: a weapon you can use against certain monsters. You see someone lurking in the shadows ahead of you. "Do not take another step," says the mysterious figure. "If you want to move forward, you have to answer my questions correctly...."
1. What number makes the equation below true? 2. A total of 30 players will play basketball at a park. There will be exactly 5 players on each team. Which statement correctly explains how to find the number of teams needed? A. Add 5 to 30 to find 35 teams. B. Divide 30 by 5 to find 6 teams. C. Multiply 30 and 5 to find 150 teams. D. Subtract 5 from 30 to find 25 teams. Write in the answers to your questions in this box. Put the number of the question down and then the answer next to it. Good luck. You attack the troll! We'll email you back to let you know how you did. Stay tuned! Behold: this is the entrance to the Maze of Doom. It's dark, with only enough light to see what's right in front of you. You step in and slowly follow the path. Suddenly, you hear a loud grunting noise coming toward you. DIRECTIONS: Read the Passage below. Then answers questions 1 - 4. 1 It’s easy to forget about soil. You have to look down on the ground to see it. Even then, soil may not seem to do very much. But, there’s more to soil than you might think. It isn’t just dirt that gets on your shoes. 2 Trees and plants need soil to grow. Very few fruits, vegetables and grains would live without it. Many animals need soil, too. They eat the plants that grow in it. Some animals even live in the soil. Can you imagine a world without soil? 3 Most soil comes from rocks. Over many years, weather causes rocks to break apart. The pieces get smaller and smaller as time goes on. Soil forms when bits of rock mix with things like dead leaves and dead bugs. 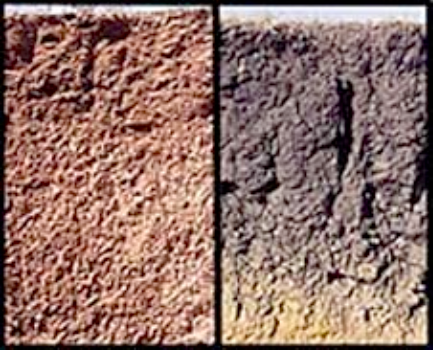 The soil in Arizona, on the left, looks different from the soil from Texas, on the right. 4 Not all soil is the same. Soil comes in many colors. Some soil looks and feels different than other soil. The color and feel of soil often changes as you dig deeper into the ground. You can learn a lot by seeing and touching soil. In a way, soil is like a secret decoder. 5 The color of soil can sometimes tell you where you are. For example, red soil can be found in Arizona. Grey soil can be found in Nevada. Black soil can be found in Texas. Water also affects the color of soil. Wet soil is usually darker than dry soil. 6 The feel of soil can tell you about its ingredients. Soil contains different amounts of sand, silt and clay. Soil in a forest might be gritty, which means more sand. Soil in a meadow might be smooth, which means more silt. Soil in a garden might be sticky, which means more clay. 7 Did you know that squeezing soil can tell you about the weather? If soil crumbles between your fingers, then the weather has probably been dry. If soil is wet and sticky— yuck!—then it might have rained not too long ago. Here are the questions. Below the questions, you'll find the place to write in your answers. 2. According to the text and photos in the passage, what do the photos show about the difference in the soils from Arizona and Texas? A. The soils are different depths. B. The soils are different colors. C. The soils have different plants. D. The soils have different ages. "Soil in a forest might be gritty, which means more sand." "Soil in a meadow might be smooth, which means more silt." Which statement describes the relationship between these two sentences? A. The sentences make a comparison. B. The sentences describe two steps in a process. C. The first sentence explains the reason for the second.